Mario Puzo's classic saga of an American crime family that became a global phenomenon--nominated as one of America's best-loved novels by PBS's The Great American Read. 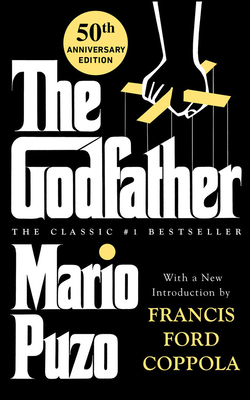 A #1 New York Times bestseller in 1969, Mario Puzo's epic was turned into the incomparable film of the same name, directed by Francis Ford Coppola, which won the Academy Award for Best Picture. It is the original classic that has been often imitated, but never matched. A tale of family and society, law and order, obedience and rebellion, it reveals the dark passions of human nature played out against a backdrop of the American dream.